Unhealthy lifestyles have staying power, so what can we do be healthier after age 60? A recent CNN article describes 10 ways how to adopt a healthier lifestyle when you get close to retirement. The thinking is that 5 years before your retirement at 65 you should perhaps adopt a healthier lifestyle. Dr. Dana King was the author of a 2017 study where lifestyles before and after retirement were compared. Seven factors were examined, namely cardiovascular factors including physical activity, healthy diet, healthy weight, smoking status, total cholesterol, glucose, and blood pressure. Retirees were more likely to have poorly controlled blood pressures compared to non-retirees. 23.9% of retirees had uncontrolled blood pressure versus 15.1% of non-retirees. This difference was statistically significant. There was another significant difference with regard to physical activity. Retirees were 1.85-fold more active than non-retirees. But sadly, the other 5 of the 7 points did not significantly improve. There were no differences in healthy weight, smoking rates, healthy diet, glucose levels or cholesterol control. Adopt a Mediterranean diet. This is an anti-inflammatory diet that prevents hardening of the arteries. It lowers the bad LDL cholesterol and also triglycerides. It is also recommended to consume at least 2 tablespoons of olive oil per day. When you cook only with olive oil and use only olive oil and Balsamic vinegar for salads, it is relatively easy to reach or surpass the recommended 2 daily tablespoons of olive oil. You have more time when you retire. The easiest to get into a routine regarding regular exercise is to get a membership in a gym. In the beginning you may want to see a trainer to show you some routine exercises on weight machines. You start the program off with 30 minutes on the treadmill. Before long you get used to the exercise routine and you feel stronger. But your system also produces much more of the protective HDL cholesterol, which is sensitive to regular exercise. If you have been physically inactive, get some input from your health care provider. It is not exercise, but a healthy diet, which controls your weight. Having adopted a Mediterranean diet is a big first step in that direction. But it is also important to cut out sugar and starchy foods (potatoes, rice, bread, muffins, pasta etc.). This will reduce your LDL cholesterol and triglycerides. On the long term you prevent heart attacks and strokes. It is old knowledge that smoking cuts down on life expectancy. Better quit smoking now than later. It prevents heart attacks, strokes, lung cancer and many other cancers. Regular exercise, weight loss and quitting to smoke will all lower your blood pressure. Some people though continue to have high blood pressure. It is important to seek medical advice regarding this. People with persistent elevated blood pressure need medication to have this controlled in order to avoid getting a hemorrhagic stroke. The diet I described will help you to control your blood sugars. Your doctor can order a hemoglobin A1C, which summarizes your average blood sugars over the past 3 months. Controlling your blood sugar is important to prevent type 2 diabetes. Diabetes reduces your life expectancy significantly. The risks are heart attacks, strokes, blindness, leg amputations, kidney damage and cancers. When I discussed a healthy diet, I indicted that it lowers the LDL cholesterol and triglycerides. This reduces the risk of hardening of the arteries. A regular exercise program increases the protective HDL cholesterol, which reinforces the protection from heart attacks and strokes. Whether we retire or not, we should all strife to achieve these 7 changes of lifestyle that Dr. Dana King has discussed. They were cardiovascular factors including physical activity, healthy diet, healthy weight, smoking status, total cholesterol, glucose, and blood pressure. Each of these factors is important on its own. But when you tackle all of them simultaneously, there is a potentiation of these factors that allows you to get super-healthy. That’s what you want for your life after age 60. It is not too late to start! You want to be healthier after age 60! A review article at CNN by a psychiatrist recommends that we live the life that we evolved for. Dr. Arash Javanbakht, an assistant professor of psychiatry at Wayne State University in Detroit, MI explains that man lived on this planet only since 200,000 years. But it takes about 1 million years for evolutionary changes to take place. As a result of this we tend to still behave in our lives the way we may have reacted 10,000 years ago. It is useful to think back of us being hunters and gatherers. Anxiety, for instance, is an emotion that goes far back to 10,000 years ago when humans had to be part of the tribe. If an opposite tribe was fighting them chances were high that they could get killed. Even if your own tribe did no longer like you, there was a strong possibility that you were driven out or killed. This left us with an inheritance going back many millennia of anxiety. In modern life though it is the boss who does not like something you did. It could be a deadline for a school or college project that makes us anxious or some political news. The reasons have changed, but anxiety is still there! Food was very scarce 10,000 years ago. When the tribe finally caught some prey, there was a feast where fatty food, meat, vegetables, fruit, nuts and seeds were eaten. Refined sugars were not available. You did not know when the next time would come where you had ample food. Today we still behave this way: we eat what we can and eat some more. The only problem is that there is no longer the pattern of famine orfeast. Instead there is easy access to the fridge with all kinds of food. We also have access to fast food places. And we drink sodas, eat candies and other sweets. Eventually we end up fat and fatigued. Live the life that we evolved for: which way do we move? Our ancestors had to run and walk many miles a day to find food. They may have been attacked by wild animals and had to flee. They also needed to chase a prey for food. Constant movement was the order of the day. What are we doing today? We did not evolve to step into a car and drive to work. We also did not evolve to sit at a desk from 9AM to 5PM. In the evening we sit in front of the TV or lie on a couch eating munchies and drinking beer. It is no wonder that we gain weight, that our heart and lungs do not get conditioned, and that our muscles are a pile of mush. We need to think back what our bodies were built to do. Perhaps a long walk would be healthier than sitting all the time. Some of us do not mind to visit a gym daily and build an exercise routine into the day. This mimics the activities of the hunter/gatherers and is a lot better for our bodies. Many people today have problems to fall asleep. The sun had 100% control of the diurnal rhythm in the past. Now we have artificial lightning, blue light from TV’s, computer screens and iPhones. We are constantly getting stimulated. In addition, the stories we read or see on TV get us excited, so that the stress hormone, cortisol is released and melatonin, the sleeping hormone gets suppressed. Taken all this together, it is not really a wonder we have problems sleeping. Relaxation methods can help us to tone down before we go to sleep. You may want to meditate, do self-hypnosis, practice some yoga or just lie still and relax, clearing your mind, and more importantly switch the TV off and put the computer on “sleep”. Sleep for you comes easier this way. 10,000 years ago fear was a normal part of our lives. There were predators you had to fear. There were tribal wars where you had to fight for your survival. You had to fear starvation. The fight/flight response was a reality. Compare this to our lives now. We may fear an exam, a meeting at work or agonize what to wear for a party. We have no real existential fears unless you live in a war zone. Many people may feel that they do not have enough fear in their lives, so they get drawn to horror and mystery stories, computer games, haunted houses etc. But this is fodder for anxiety! When we adopt a pet, let’s say a dog, we understand that it needs food, exercise, love and sleep. But when it comes to the human animal in us, we find it hard to understand that we need that too. In fact, we need to live the life that we evolved for. We need some form of exercise all the time, because that is what we were meant to do 10,000 years ago and our bodies are still built for that. When you walk the dog, you may make new friends or even a date. If you go to the gym, you realize that your muscles work better and begin to make your body fitter. You will also feel better about yourself. You appreciate that your mood is lifting, and you feel the increased energy and strength. It takes people 1 million years for evolutionary changes. We do not change our behavior fast. Dr. Arash Javanbakht, an assistant professor of psychiatry at Wayne State University in Detroit, MI compared our lives now with the lives of the hunters/gatherers in the past. People ate fatty food, meat, vegetables, fruit, nuts and seeds when a prey was hunted. But then there was an episode of fasting. People then had to walk and run all day long to catch some food again or they had to run to escape from a predator. Nowadays we use cars for transportation, use the elevator to get upstairs and walk from the table at home to the TV set. If we do not move enough and we eat the wrong foods, we do not turn fit but we turn fat. We also use LED lights from TV’s, computers, iPhones and tablets that interfere with our diurnal hormone rhythm. It is not about going back to sending smoke signals, but it is all about setting limits and when to stop and disengage from social media and the phone. Not setting limits is part of why we have problems to sleep. Stress can also be a factor of insomnia. Dr. Javanbakht says that we need to relearn how our bodies were built. We need proper nutrition without high-energy carbs. In addition we need regular exercise that will help us to relax and feel more energy. Anxieties will lift and we will feel better about ourselves. In a health article CNN reported about exercise for different age groups. Exercise has profound positive effects on the body. First it strengthens the lungs and the heart. Secondly, it conditions your muscles. Thirdly, exercise can protect you from chronic diseases like heart disease, type 2 diabetes and many cancers. Each age group needs different exercises, as follows. During childhood exercise helps to grow healthy bones, regulate weight and build up self-confidence. In addition the child sleeps better, when exercise is part of the course of the day. Children should try out various sports. They should learn how to swim and how to handle a ball. They should also play in playgrounds together with other kids. Several studies have shown that during the teen years exercise levels decline steadily, particularly for girls. Especially during the teen years regular exercise builds a healthy body image and helps adolescents to manage stress and anxiety. Parents should encourage teens to keep one team sport regularly. For those who are not into team sports, swimming and any kind of sport is a good substitute. In your mid twenties you are at the highest performance level in your life. You have the fastest reaction time and your heart pump capacity is the highest. Exercise physiologists measure this by an expression, called VO2 max. This value decreases each year by 1%. Your reaction time also decreases every year. The good news is that you can slow down the decline by exercising regularly for the rest of your life. If you train your body regularly during this time, your lean body mass will be preserved and your bone density will stay dense until your later years. To make it more interesting, vary your training with various sports. If you are a regular exerciser, talk to a trainer about interval training, which intermittently pushes your exercise limit to the maximum. This type of training releases human growth hormone from your pituitary gland. The effect of this is that you increase your stamina and endurance. It also builds up lean muscle mass, decreases body fat content and provides you with more energy. Family life and stress at the job can be a reason that you forget about exercise. But right now there is a particular need to maintain a regular exercise program. You may want to get up early, work out at a gym and go to work from there. Some employers encourage those who work at a desk to get up every 30 minutes and have a brief exercise break for only 2 or 3 minutes. There are computer programs that show you what to do and all you have to do is copy what you see on the screen. Keep good posture while you sit. When you need a rest room break, you may decide to use the rest room downstairs. This gets you to climb some stairs and use the muscles that were resting when sitting at the desk. As already outlined for those in the twenties, high-intensity interval training is a tool where you can exercise for only 20 minutes intensely. You do a burst of maximum exercise that brings you up to 80% of your maximum heart rate. This can be done cycling or sprinting and is alternated with low intensity exercise. Women should do Kegel exercises (pelvic contractions) following labor to prevent incontinence. Change exercises around to keep them interesting. This is the time when a lot of people put on extra weight. Resistance training is a way to counteract this by burning fat and preventing the loss of 3-8% of muscle mass per decade. As this link shows, 10 weeks of resistance training increases muscle mass by 3 pounds (1.4kg), increases the resting metabolic rate by 7% and decreases fat by 4 pounds (1.8kg). Exercise machines in gyms or Pilates equipment in Pilates centers will give you this type of training. Many people develop joint aches when they are fifty and older. Also, chronic diseases like heart disease, type 2 diabetes and others are starting to get more frequent. In postmenopausal women, where estrogen is on the decline, heart disease is getting more common. Bioidentical hormone replacement can reverse these problems. Strength training twice a week will counter muscle loss that you would get otherwise without any regular exercises. Do weight-bearing exercises like a fast walk where you breathe a bit faster and where you break out into a sweat. This will make your bones and muscles stronger and prevent osteoporosis. Tai Chi, yoga and Pilates are all exercises suitable for this age group. This age group is characterized by the fact that multimorbidity is getting more prevalent. People often have mental and physical illnesses. Or they have diabetes and heart disease. They often are on multiple drugs for various conditions. Aging is also a strong risk factor for developing many cancers. But regular exercise can prevent many cancers. For instance post-menopausal breast cancer, colon cancer and cancer of the womb are cancers that can be prevented to a certain extent with regular exercise. Heart disease and type 2 diabetes will also largely improve with regular exercise. Physical exercise tends to decline in this age group for various reasons. Some reasons are obesity, various diseases that make individuals more sessile and general disability. It is important to resist this trend as much as possible. Take ballroom dance lessons and join the dancing community. Any other dance type (Latin, Bachata, Salsa, Kizomba, Argentine dancing etc.) is good exercise and enjoyable as well. It is a fun way to socialize and exercise at the same time. Aqua-aerobics is a great way to keep your joints and muscles in good shape. People with arthritis will tolerate this. Use brisk walking to maintain your cardiovascular fitness. Do strength and flexibility exercises twice per week to maintain your muscle mass and your balance. 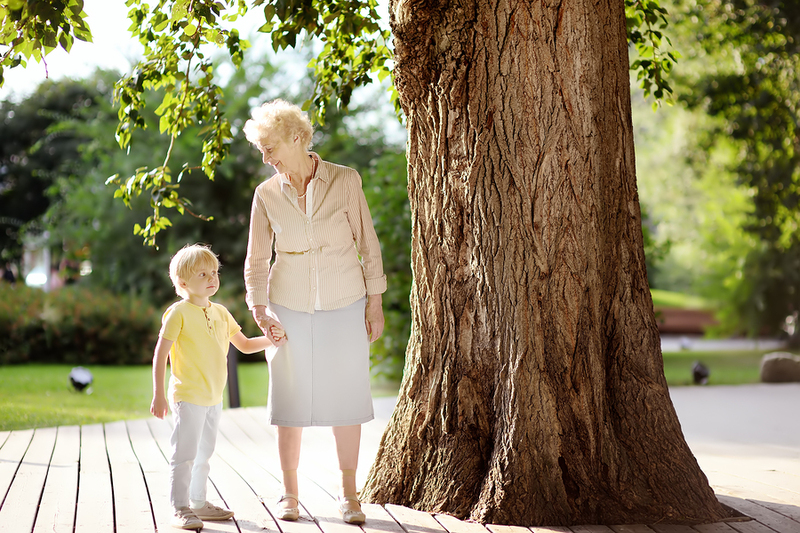 Frailty and falls are common in the 70’s and 80’s. Many fractures are happening needlessly. Keep exercising regularly and your muscles will be strong enough to prevent falls. Walk and talk with friends instead of sitting around a table. It is good for your friends to walk as well. If you have several chronic conditions, talk to a physiotherapist or exercise professional what type of exercises you should do. You need some strength, balance and cardiovascular exercises. Enlist the help of a trainer. Sustained exercise is what benefits you most. Think of brisk walks, swimming and aqua-exercises. We are born to stay active. Movement is life. As long as we live, we need to do regular exercise. 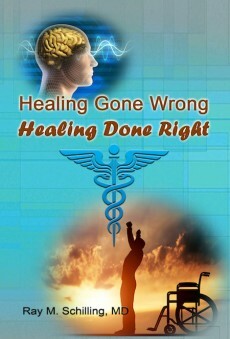 This way a lot of chronic diseases will be prevented and even many cancers as well. I have summarized that for different age groups there are different activities that are appropriate. But the key in all age groups is to move and keep your lean muscle mass from shrinking. As explained, this will automatically make you also lose a few pounds. Strength exercises (also called resistance exercises) are the key to achieving this. When you get older, you are not exempt from exercising. Now even more than before your well being depends on exercising regularly. You want to prevent osteoporosis, falls and fractures. You want to avoid chronic diseases, heart disease and diabetes, and exercise is one valuable key to achieve this. 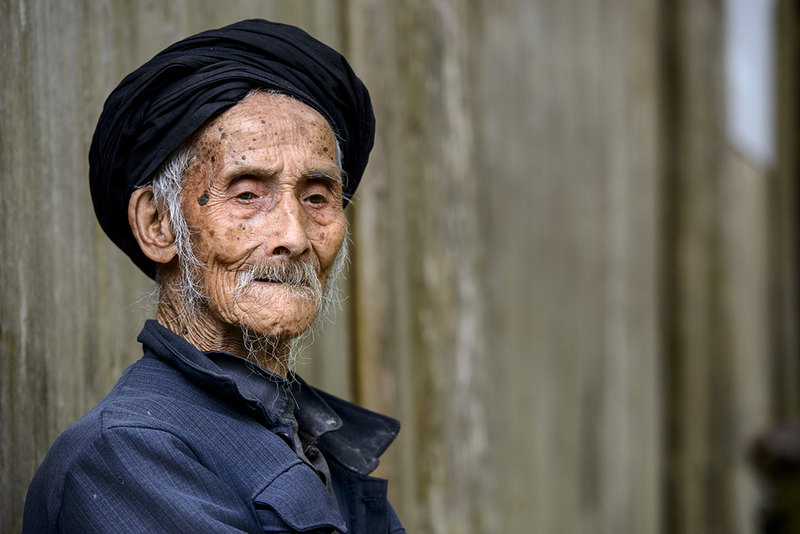 Can Longevity Research Make Us Age Slower? 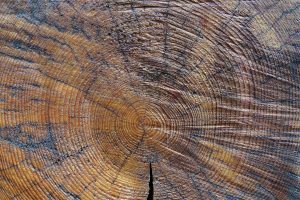 Longevity research has done a lot of experiments, but can longevity research make us age slower? This year an 800-page summary was published of all the longevity research that has been going on. A review of this research is in this abbreviated article. The entire report can be found here. 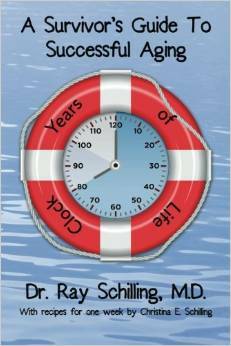 In the following I like to address some of the problems of anti-aging or longevity research. 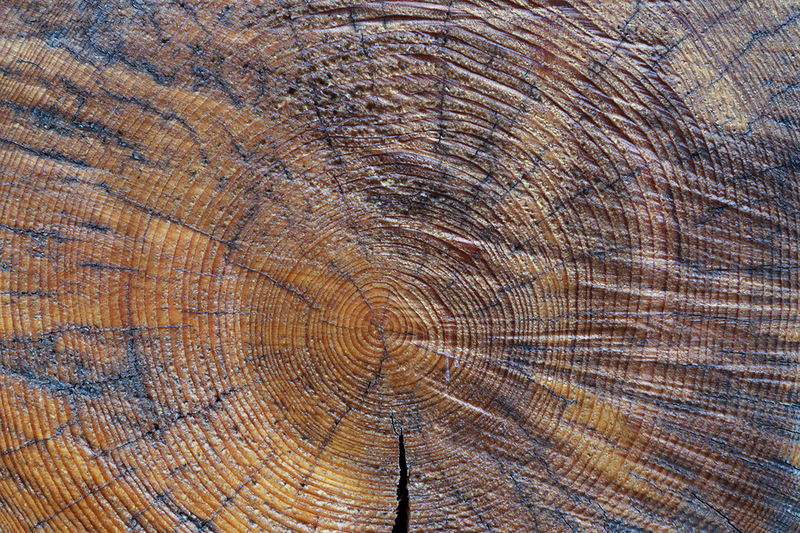 We know that people with longer telomeres live longer than people with short telomeres. When telomeres are longer, the cells can continue to divide and function normally. When telomeres shorten there comes a point when no more cell division is possible. At this point the cell will normally be dissolved. When it persists, there is the danger that it undergoes a malignant transformation. This can cause premature deaths. On the other hand, if enough shortened telomeres accumulate in various organs, organ failure ensues. This will also result in premature deaths. 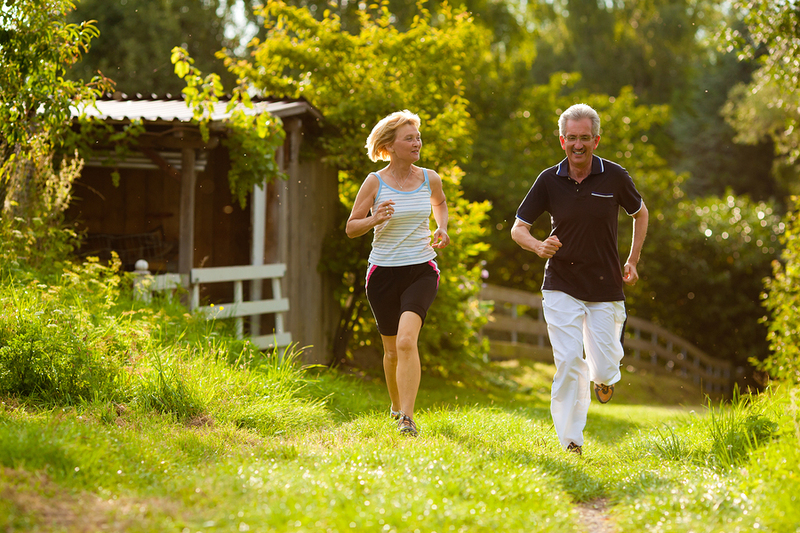 Research in humans has shown that increased physical activity elongate telomeres. So do vitamin C, E, vitamin D3 supplementation and resveratrol. A Mediterranean diet and marine omega-3 fatty acid supplementation elongate telomeres as well. In addition higher fiber intake, bioidentical estrogen in women and testosterone replacement in men can be effective in elongating telomeres. Finally, relaxation techniques like yoga and meditation are also elongating telomeres. Many processes lead to free radicals. Free radicals are unstable atoms that may damage cells and can cause illness and premature aging. Inflammation, the metabolism of our mitochondria, radiation exposure, industrial solvents and ozone are just some examples of what can cause free radicals in our system. If we have enough antioxidants on board, there is a balance between free radicals and antioxidants. No damage would occur then. In humans the two major antioxidants present are vitamin C and glutathione. Vitamin C comes from our food. Glutathione is produced by the liver and circulates in the blood. These two antioxidants are keeping free radicals in balance. This Harvard site explains that even food can cause inflammation in us. For instance sugar, French fries, red meat and margarine cause free radicals. Anti-inflammatory foods are tomatoes, green leafy vegetables, olive oil, nuts, fatty fish, berries and fruit. A Mediterranean diet has anti-inflammatory qualities. There are 6 anti-inflammatory supplements that are useful to know about: ginger, fish oil, alpha-lipoic acid, curcumin, resveratrol and spirulina. In addition to the above, vitamin D3 also has anti-inflammatory effects in higher doses. 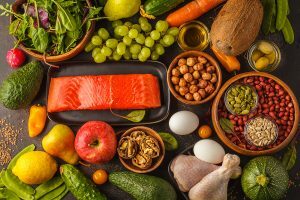 Chronic inflammation can cause cancer down the road, so it is important to prevent this by eating sufficient amounts of anti-inflammatory foods and supplements. Spontaneous mutations of DNA, mutations of suppressor genes, oncogene activation and insufficient DNA damage response can all lead to cancer. In the past there was the hope of using chemotherapy and radiation therapy as a means to influence the outcome of cancer treatment. A reinvestigation of this concept is ongoing. More specific treatment modalities are under investigation. When more cancer can be prevented and when it is possible to cure more cancers longevity in the population will increase. Cancer has been one of the major killers over the years. Metformin has been in use for decades to prevent and treat diabetes. But beyond this it also has anti-cancer activity, it prevents Alzheimer’s, prevents cardiovascular disease and may be the first anti-aging drug. A trial to this effect is ongoing. It makes sense that a drug that treats and prevents diabetes would be a longevity drug at the same time. The fact that it also helps to prevent cardiovascular disease and Alzheimer’s disease also makes sense. Anytime you remove a chronic disease, life expectancy improves. As a result metformin will likely receive approval as a longevity drug soon. The mitochondria are small organelles in each cell. The purpose of this structure is to provide energy. In normal cells there are hundred of these organelles in each cell. In heart muscle cells, brain cells and liver cells there are thousands of mitochondria in each cell to provide energy. Muscles, nerve cells and liver cells require more energy to function properly. Two supplements have been in use for some time to support mitochondria function. Co-Q10. This supplement supports mitochondrial function. It prevents heart disease, together with vit. K2 and vitamin D3 and it keeps blood vessels open. Pyrroloquinoline Quinone (PQQ). This supplement can increase the number of mitochondria in a cell. It can also improve their functioning. With aging we know that we are slowly losing mitochondria. It is important to know that there is a supplement that can counter the aging effect and prevent further mitochondrial loss. For centuries people were hoping to live longer. Nowadays this dream seems to become a reality. But it does not happen with one magic pill. The aging process involves multiple targets that need attention. The telomere length is one factor. I listed a number of items that will elongate telomeres, like regular exercise and a Mediterranean diet. Antioxidants and anti-inflammatories are prolonging life as well. You want to preserve the function of your genes. Research is concentrating on improving gene repair. Metformin has been found to prolong life. This molecule might be the first longevity drug. It has been in use to prevent and treat diabetes, but it also helps to prevent cardiovascular disease and Alzheimer’s disease. Two supplements help with mitochondrial repair, namely Co-Q10 and PQQ. Because life is all about energy, it is important to have well functioning mitochondria in all of your cells. When mitochondria are functioning, your body functions at its best, and you feel well. 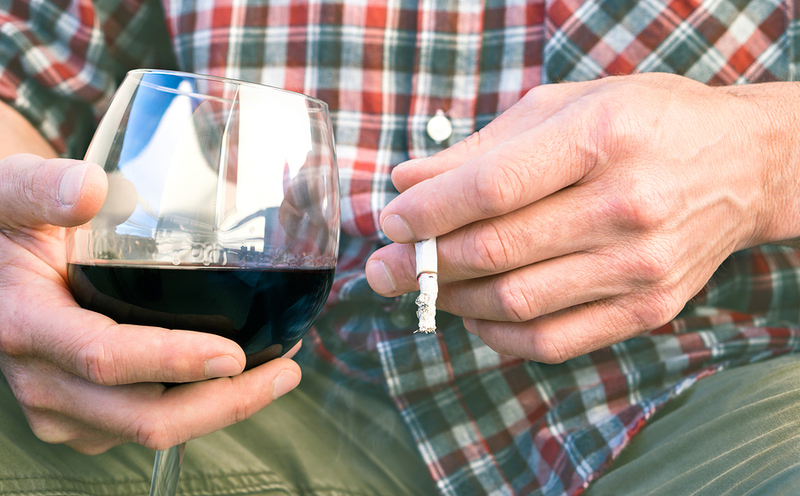 A new study showed that not exercising is more risky for you than smoking. We all know that smoking puts you at risk to get a heart attack or a stroke. It can also cause lung cancer and other cancers. So, hearing that not exercising is even more risky than smoking comes as a shocker. Dr. Wael Jaber, a cardiologist at the Cleveland Clinic was the senior cardiologist of this study. It was based on 122,007 patients who underwent tests using an exercise treadmill test at the Cleveland Clinic. This took place between the beginning of January 1991 and the end of December 2014. The end point in the study was all-cause mortality. The question in the study was whether exercise and fitness were lowering the risk of mortality. The result showed that 12% of the study group had the lowest exercise rate. This sedentary group had a mortality rate that was 500% higher than the top exercise performers. Compared to someone who exercises regularly the sedate group that hardly exercises still had a 390% higher death rate. What was astounding to the researchers was the fact that there was no ceiling of the benefit of exercise. The ultra fit group still had a super low mortality rate, lower than the next higher fitness group. Age did not matter either. Whether you were 40 or 80, the more you exercised, the lower your mortality rate was. This trial was based on 15,486 patients with heart disease and found that even 10 minutes of exercise per day reduced mortality. They compared the death rate of people engaging in 10 minutes of a brisk walk with a group who did not exercise at all. The brisk walkers had a 33% lower death rate than the group who was entirely sedentary. This review article mentions that a number of chronic diseases were related to sedentary lifestyle. 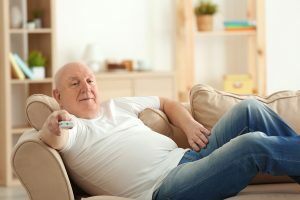 Major diseases like heart attacks, strokes, arthritis, depression and anxiety and others were clearly much more common in people who were more sedentary than those who were exercising regularly. Lifestyle, in particular regular exercises, a healthy diet and NOT smoking has a profound positive effect on our health. In one study researchers showed that 79% of major diseases including heart attacks and strokes could be prevented with a healthy lifestyle. I reviewed this in this blog. This 2017 study from Brazil has examined the effects of regular exercise on high blood pressure patients. They came to the conclusion that regular exercise can be as powerful as blood pressure lowering medication. Both bring down systolic and diastolic blood pressure. Even complications of previously untreated high blood pressure will be reversed with regular exercise while medication will not have this positive effect. Controlling high blood pressure with regular exercise will prevent diseases like heart attacks and strokes and the associated mortality. In this 2015 study the researchers noted that a combination of adopting a healthy diet and regular exercise could lead to weight loss. This was shown to prevent type 2 diabetes. 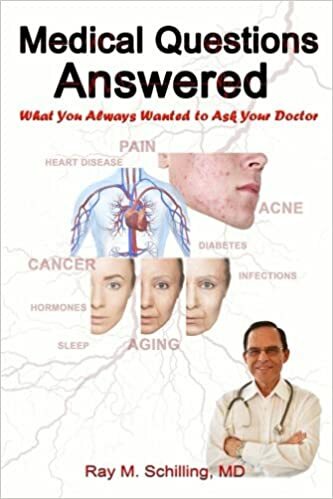 The authors questions why such a lifestyle change was not more widely taught to people to prevent cardiovascular diseases and diabetes. The medical profession knows for a long time that regular exercise is good for your health. But there always was a concern that perhaps too much exercise may be hazardous. A 2018 study from the Cleveland Clinic followed 122,007 patients for 14 years. All patients underwent an exercise treadmill test as a baseline. The end point was mortality during the 14 years of follow-up. The results made clear that there was no upper limit of exercise. Patients who were exercising the most still had a lower mortality than those who exercised less. But perhaps the most impressive result was that sessile patients who did hardly any or no exercise had the highest mortality. Their mortality was higher than that of smokers who exercised a little bit. If you want to avoid getting a heart attack, a stroke, diabetes or many types of cancer, exercise regularly, don’t smoke and eat a Mediterranean type diet. Regular exercise can reduce cardiovascular disease by 79%. And since the Cleveland study we know that more exercise is even better as the top athletes had the lowest mortality. There are fewer carcinogens in organic food, which is likely why consumption of organic food reduces cancer risk. In an extensive study from France a large number of patients received questionnaires about their organic food intake. The study was also reviewed by CNN using more popular language to describe the findings. 68,946 French adults were recruited for the study. More than ¾ of the study population were women in their mid 40’s. Researchers divided these subjects into 4 groups depending on how many of 16 organic food groups they were consuming. First of all, the type of foods included fruit and vegetables, ready-to-eat meals, meat and fish, vegetable oils and condiments, dietary supplements and other products. Also, the investigators followed this population for an average of 4 ½ years. Finally, during that time 1,340 cancers developed. 459 breast cancers occurred, 180 prostate cancers, 135 skin cancers, 99 colorectal cancers and 47 non-Hodgkin lymphomas. Most noteworthy, those who ate the most organic food developed 25% less cancer on average. When it came to Hodgkin’s lymphoma, organic food consumers developed 73% less of it than people on regular food. Postmenopausal breast cancer was 21% less frequent among those who had the highest use of organic food. There are a number of factors regarding non-organic food that should make us pause to think. Milk and milk products are not as innocent as in the past when no marketing boards were around. Animals are no longer freely roaming on green pastures, but they exist in high-density facilities and they need antibiotics to prevent infectious illnesses. So the story goes. In reality farmers have found out that antibiotics and bovine growth hormone will both increase milk production. The manufacturers apply the profit principle and the result is that the consumers of milk and milk products have a change of their bowel flora from the antibiotic residues, which can cause heart attacks. The bovine growth hormone from milk and milk products causes breast cancer and prostate cancer. If you buy organic milk and milk products, you will not consume bovine growth hormone or antibiotic residues. We know for several decades that insecticides used in agriculture on a large scale are accumulating in the body of the consumer and act as immune disruptors. The farmer feels he has to defend his crop against insects and sprays with various insecticides. Among the fruit with heavy spray residues are strawberries and apples. A study of the Consumer Reports’ from August 2018 examined baby foods. High levels of heavy metals like mercury, lead, arsenic and cadmium were detected in baby foods. Exposure to even low levels of heavy metals can lower a child’s IQ by 5 points. Heavy metals have shown an association to behavior problems, to autism and to causing attention deficit hyperactivity disorder (ADHD). A study from New Zealand looked at how people who were exposed 4 decades earlier to heavy metals were doing when having an average age of 38 years. 565 New Zealanders showed measurements of high levels of heavy metals as children. Their IQ’s were lower than the average for their age and their socioeconomic status was below that of their parents. It seems like heavy metals were high in both non-organic and organic baby food samples. Arsenic rice comes from inadvertent, but deliberate human poisoning. The Consumers Report explains that high arsenic values showed up in rice grown in these states: Arkansas, Louisiana, Missouri, and Texas. These are the same states, where cotton plantation covered the countryside in the past. The U.S. has been the world’s leading user of arsenic. Since 1910 farmers used about 1.6 million tons for agricultural purposes. Since the mid-1960’s they used only half of this amount. Although there was a ban of arsenic use as an insecticide in the 1980’s, residues from the decades of previous arsenic use still linger on in agricultural soil today. If organic rice is grown in these 4 contaminated states, it is not unexpected that even organic rice would contain high levels of arsenic. The south-central region of the US was an area where cotton was the mainstay of agriculture for a long time. This is a crop where heavy treatment with arsenical pesticides was in use for decades in an attempt to combat the boll weevil beetle. Rice was particularly high in arsenic, both in baby food as well as in adult food. Basmati rice from California, India, and Pakistan had on average half the amount of arsenic. Sushi rice from the U.S. was also low in arsenic. A subsidiary of Pfizer produced the arsenic-containing drug, Roxarsone. This is an organic arsenic compound that accumulates in the liver of chickens. A synonym for Roxarsone is “3-nitro”. The full chemical name is 3-Nitro-4-hydroxyphenylarsonic acid. When you read the fine print of the FDA website, it reveals that originally it allowed 3-Nitro® to be marketed in 1944 based on negative toxicity studies on rodents. The drug was approved again in 2009 for combination use with other drugs for suppression of coccidiosis, a cause of diarrhea in chickens. As 3-nitro is an organic arsenic compound. Researchers in the past believed that it would be non-toxic. So, the assumption was that it was safe to allow this feed supplement for chickens. It turns out that with more sensitive newer testing methods scientists from the FDA’s Center for Veterinary Medicine (CVM) and Center for Food Safety and Applied Nutrition (CFSAN) examiners found that organic arsenic compound metabolize in the chicken into cancer-causing inorganic arsenic compounds. Chicken farmers use arsenic compounds to stimulate growth and to prevent the transmission of infectious diarrhea. If you don’t want to be a victim of the industry, I suggest you switch to organic chicken. It will be arsenic-free. Originally the most polluted fruit and vegetables were termed the “dirty dozen”, but now the list is longer and includes 15 of the most polluted crop. They are: apples, peaches, nectarines, strawberries, grapes, celery, spinach, sweet bell peppers, cucumbers, cherry tomatoes, sugar snap peas (imported), potatoes, hot peppers, kale, and collards. It is common knowledge for some time that certain foods contain more pesticide residues than others. Some of these fruit and vegetables contain between 13 and 15 different pesticides from spraying. Potatoes rank on top of all of the crops with high contamination. Why is it important to know which crop has high pesticide contamination? Pesticides are immune disruptors. On the one hand vegetables are healthy for us, on the other hand they contain residues from insecticides and herbicides that have estrogen-like activities called xenoestrogens. They are are causing breast cancer in women and prostate cancer in men. If you replace all of these highly contaminated fruit and vegetables with organic ones, you will have reduced your cancer risk by 25%! It is interesting that there is no law in the US and in Canada that GMO foods should have a label declaring that it is genetically modified. This is changing rapidly as people realize that in many countries of Europe all GMO foods require labeling. Here is a publication that shows that the GMO labeling campaign is gaining momentum. Genetically modified corn and soy contains the Bt toxin; it has been found in babies as mentioned in this article. Bt toxin damages the small bowel (the ileum) through Cry1Ab (the protein produced in genetically modified corn and soy). This in turn disables the absorption of vitamin B12. We know that this in turn will cause anemia. Historically the cause of pernicious anemia was due to a lack of vitamin B12 absorption. In a publication dated April 2013 Drs. Anthony Samsel and Stephanie Seneff discuss the effects of Roundup. They noticed that glyphosate inhibits the cytochrome P450 (CYP) enzymes in the liver. This is a crucial detoxification enzyme complex. When toxicity studies of glyphosate in mammals emerged, this was not common knowledge. The CYP enzymes in the liver are important to metabolize and eliminate estrogens and also help to detoxify xenobiotics, which are estrogen-like substances (residues from insecticides). Thus glyphosate (=”Roundup”) amplifies the damaging effect of environmental toxins and chemical residues from non-organic food that we eat. Researchers have shown a build-up of estrogens and xenoestrogens that are responsible for the development of many cancers (atypical Hodgkin’s lymphoma, breast cancer, prostate cancer, colon cancer etc.). Based on this data it makes sense to switch to as much organic food as you can afford. At least stay away from the “dirty dozen”! If you want to avoid Roundup, xenoestrogens and GMO foods, you need to switch from regular foods to mostly organic foods. Throw out all the foods in your fridge that are not organic and that contain MSG in it’s many disguises. MSG is an excitotoxin, which kills brain cells. These suggestions are also what Dr. Paula Baillie-Hamilton is recommending. Organic foods do not contain any of the problematic GM foods. They are free of rBGH, xenoestrogens, residual herbicides or residual insecticides. Switch to either organic milk and milk products or goat milk and goat milk products. Another choice would be “milk” products based on pea protein, but not on soy protein. As fatty tissue releases some toxins, it is advisable to use psyllium seed husks as a fibre source supplement to bind the toxins in the gut for elimination. A French study involved 68,946 French adults; the researchers observed them for an average of 4 ½ years. They were divided into 4 groups depending on how many of 16 organic food groups they were consuming. During that time 1,340 cancers developed. 459 breast cancers occurred, 180 prostate cancers, 135 skin cancers, 99 colorectal cancers and 47 non-Hodgkin lymphomas. Consequently, the researchers found that those who were eating the most organic foods developed 25% less cancer on average. When it came to Hodgkin’s lymphoma, organic food consumers developed 73% less of it than people on regular food. Postmenopausal breast cancer was 21% less frequent among the highest consuming organic food group. I explained in detail how these cancer statistics come from traces of arsenic in chicken and rice, xenoestrogens from pesticide residues in non-organic vegetables, heavy metals, GMO produce and Roundup. It is time to take food seriously and switch to organic food. I have done this since 2001. Read labels carefully. Manufacturers often use the term “natural” to give a product a virtuous gloss-over. If you find that not all fruit or vegetables are readily available as organic produce, stay away from the “dirty dozen” and make use of the “clean fifteen”. 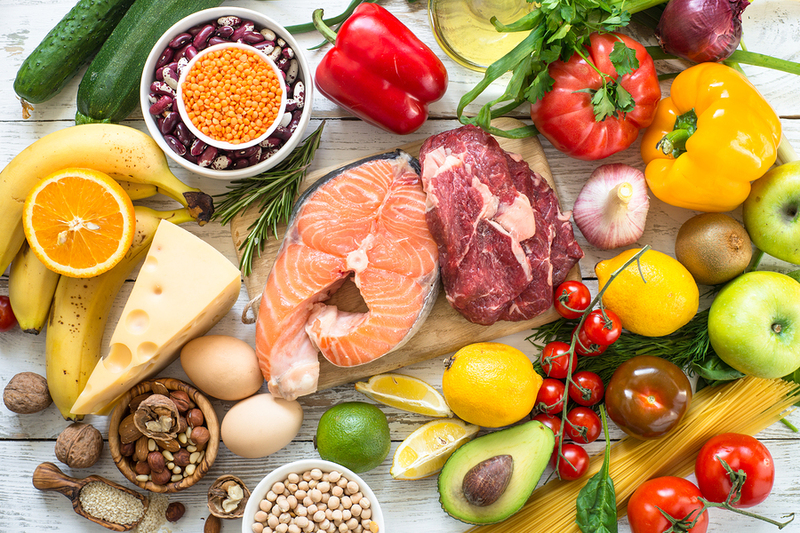 You have a good variety to choose from: sweet corn, avocados, pineapples, cabbage, onions, frozen sweet peas, papayas (as long as they are not genetically modified), asparagus, mangoes, eggplant, honeydew, kiwi fruit, cantaloupe, cauliflower and grapefruit. is sugar toxic in food? A 25-year long study has shown that a moderate carb intake has the lowest mortality. A comprehensive study from the US has followed more than 15,000 men and women for 25 years. They were between 45-64 years when they entered the study and they were from diverse socioeconomic backgrounds. The authors chose mortality as an end point. Dr. Sara Seidelmann is a clinical and research fellow in cardiovascular medicine from Brigham and Women’s Hospital in Boston. She was the lead author of this study. The research group used food questionnaires and analyzed the carb content in the food. They also determined what percentage of the food composition was of animal origin or plant origin. The main findings of the study were that less than 40% of carbs in the diet led to an increased death rate with a mortality of between 1.4-fold and 1.8-fold. On the other hand, more than 70% of carbs in the diet also had increased mortality rates of 1.2-fold. The lowest mortality was in the group that consumed a diet where carbs were between 50% and 55%. Dr. Seidelmann explained that in terms of life expectancy the result of the study could be summarized as follows. A 50-year-old person had another 33 years to live when carb intake was in the moderate range. The low-carb person had only another 29 years to live (4 years less than the moderate carb person). The high-carb person lived another 32 years, 1 year less than the moderate carb person. The study showed that there was increased longevity when carbohydrates were exchanged for proteins and fats from plant sources. Mortality was 18% less for this group. Conversely, when carbs were replaced for animal-derived fat or protein mortality was 18% more! Dr. Seidelmann noted that this study was coming from a US based population. In the case of an Asian group they would consume much more carbs on average, but they would replace a lot of the animal fat and protein with fish. Fish is a healthier source of protein and fat than beef or pork. A moderate carb intake group that used protein and fat from animal sources was compared to plant sources. When protein and fat had the origin from lamb, beef, pork, and chicken the mortality over 25 years was higher. When protein and fat came from vegetables, such as nuts, peanut butter, seeds and whole-grain breads there was a lower mortality rate. A 2016 study that had gone on for 49 years was involving 131,342 participants. Animal protein intake showed an association with higher mortality from heart attacks and strokes. 3% of energy from processed red meat was now substituted by an equivalent amount of plant protein. This reduced the all-cause mortality by 34%, for unprocessed red meat by 12% and for egg by 19%. Red meat is cancer-producing. Several studies have shown this. When red meat is digested, cancer-causing substances are released that can be the cause of cancer in the lining of the stomach and the colon. The above link says we should limit red meat consumption to 65 grams (2oz.) per day or 2 servings (130 grams or 4 oz.) 3 to 4 times per week. We should avoid eating more than 455 grams (1 pound) of lean red meat per week. In this publication evidence is also present that triglycerides are an independent risk factor that can cause heart attacks. When you eat too many carbs, the body produces the excess you don’t need into triglycerides, and it deposits its subsequently as fat in fatty tissue. Physical activity burns up some of the triglycerides. But when we eat too much refined sugar and starchy foods, there will be an excess of triglycerides putting our blood vessels and our hearts at risk. Many studies have shown that regular exercise prevents heart attacks and premature deaths. We even know the mechanism of why this is so. Exercise releases nitric oxide ((NO) from our blood vessels, which widens the arteries. This also prevents high blood pressure. Exercise elevates the protective HDL cholesterol. When regular exercisers were compared to a non-active group they had a 41% lower risk of death. All-cause hospitalizations were down by 21% and cardiac hospitalizations were down 32%. Barry Sears is the inventor of the Zone Diet. I attended a lecture in 2001 at an Anti-Aging Conference in San Diego. Dr. Sears was the keynote speaker at this conference. He stressed that a diet with 55% of complex carbs would be the best diet. It is interesting that Dr. Seidelmann in the study mentioned in beginning of this blog found the same thing. The lowest mortality was in the group that consumed a diet where carbs were between 50% and 55%. The second point that is important to note is that it matters whether we eat protein derived from animals or from plants. Even small steps help. When we reduce our animal protein intake by only 3% of the energy intake, and replace it by plant protein, there is a significant reduction in mortality. Exercise is rarely mentioned in relation to diets. But exercise needs to be included every day and you will experience a reduction of cardiac hospitalizations of 32% as mentioned above. A moderate carb intake, as is the case in the Mediterranean diet and in the Zone Diet of Barry Sears, has the lowest mortality rate. Complex carbs (in vegetables) are absorbed much slower. As a result the risk for heart attacks is much lower. The opposite is true for refined carbs from sugar. They cause heart attacks and strokes with premature mortality. Dr. Sara Seidelmann led a study at the Brigham and Women’s Hospital in Boston that lasted 25 years. Less than 40% of carbs in the diet led to an increased death rate with a mortality of between 1.4-fold and 1.8-fold. These diets are paleo-type diets, the Atkins diet and the ketogenic diet. More than 70% of carbs in the diet also had increased mortality rates of 1.2-fold. People who consumed a diet where carbs were between 50% and 55% had the lowest mortality rate (Zone Diet). Another finding of this study, which was confirmed by others is that animal-based protein is unhealthier than plant-based protein. Even replacing 3% of energy from an animal-based diet with plant-derived protein delayed mortality significantly. If you want to live longer and stay healthy you need to critically evaluate what you eat.